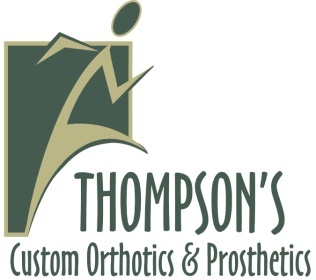 Thompson's provides patients with a variety of custom orthotics. Once the patient has been examined and evaluated by a practitioner, we then create a cast for the custom device. Since different people have different tastes and styles, we offer our patients a choice of colors, designs and patterns for the some of the materials in their device. Each patient is special to us, and we want them to have choices in how thier device looks. The body can change over time. A childs body can change dramatically as they grow taller and get bigger. So, at Thompson’s, we offer follow-up visits and adjustments for the lifetime of the each orthotic. To the right, you can view a list of some of the custom orthotics that we provide here at Thompson’s. Additional custom orthotics are available per request.